Ernest Gene Hinson 84 of Albemarle died Wednesday Morning, February 13, 2019 at Tucker Hospice House in Kannapolis. Funeral Services will be held at 2:00 PM Friday, February 15, 2019 at Randall United Methodist Church. Rev. Caitlin McAlhany will officiate and interment will follow in the church cemetery. The family will receive friends from 6:00 until 8:00 Thursday Evening at Edwards Funeral Home in Norwood. Gene was born September 8, 1934 in Stanly County to the late Ernest and Bertha Wilhoit Hinson. He was a retiree of Builder Mart of Albemarle and a member of Randall United Methodist Church. 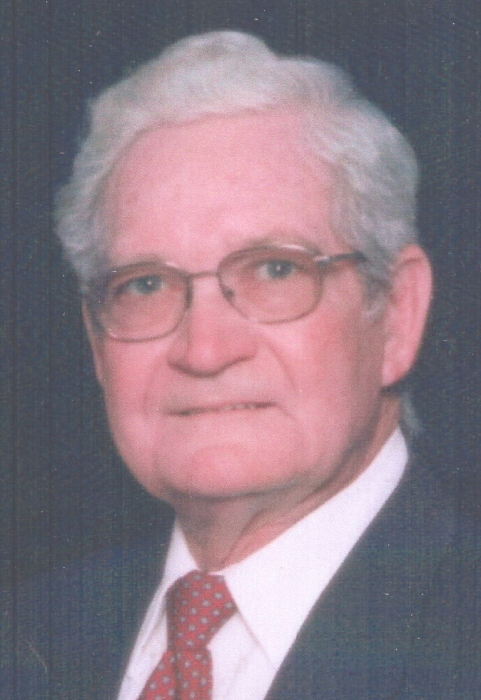 He was preceded in death by his wife Syble Howell Hinson on August 19, 2010 and a sister, Barbara Hinson Mauldin. He is survived by his wife Glenda Poole Hinson. Three sons, Donald Gene Hinson (Elizabeth Gene), David Wayne Hinson (Barbara) and Tommy Reid Hinson (Pam). His sister, Brenda Hinson Autry. Six Grandchildren, Bradley Hinson (Kylie), Brooke Motes (Shane), Matthew Hinson (Lisa), Elizabeth Pope (Kyle), Maggie Hinson and Betsy Hinson. Six Great-Grandchildren, Bailey Motes, Jacob Motes, McKinzie Hinson, Reid Hinson, Ella Ray Pope and Preston Pope.